I had already been to the event to produce a shoot for work. You can see the results in the June episode of "Orlando Attractions Magazine: The Show". I can't say it enough, I really love my job! 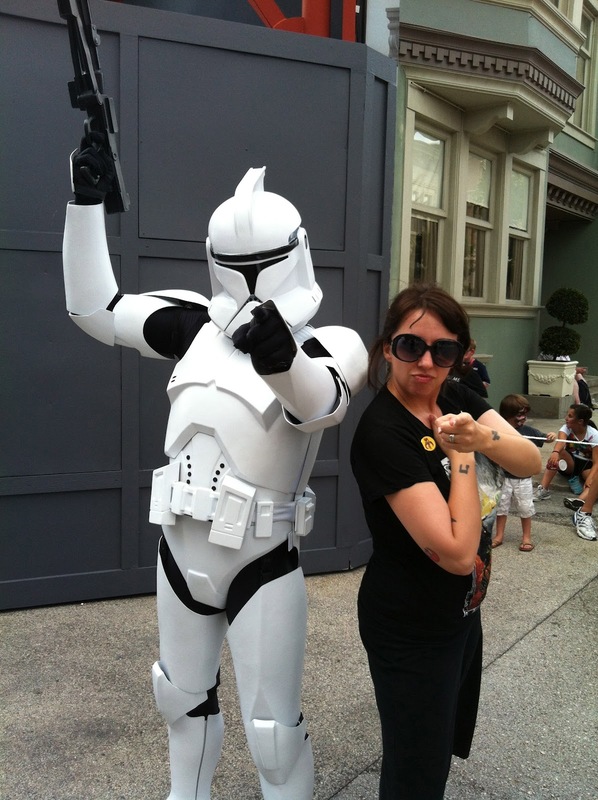 And if you follow me on Twitter @BornForGeekdom, then you've already seen a couple of these photos. But my husband and I wanted to set aside a special day just to attend the event to have fun, not to attend as media. 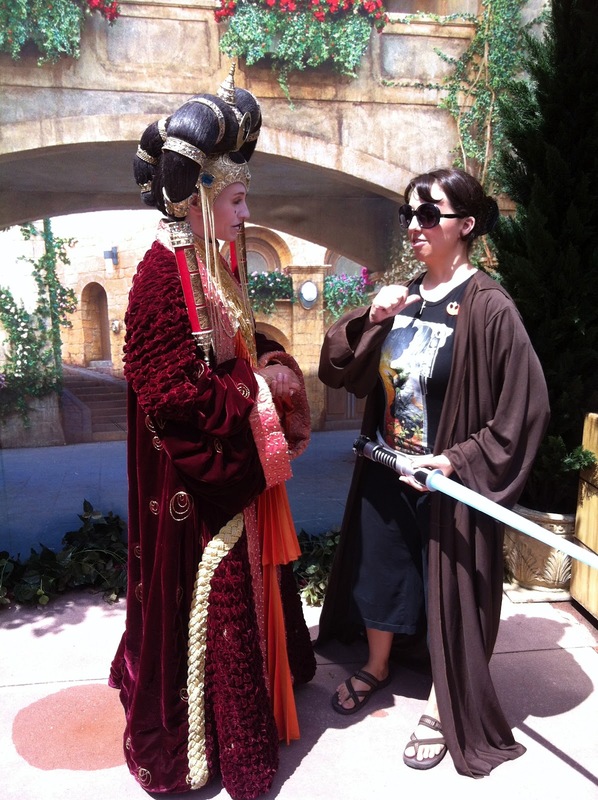 This year's special focus was "The Phantom Menace". Which meant that Queen Amidala made a special appearance, so we headed to her photo op first. We had a long chat that went something like this, "Hey, I know I'm way too old for this and it's super dorky, but will you let me pose like I'm protecting you?" 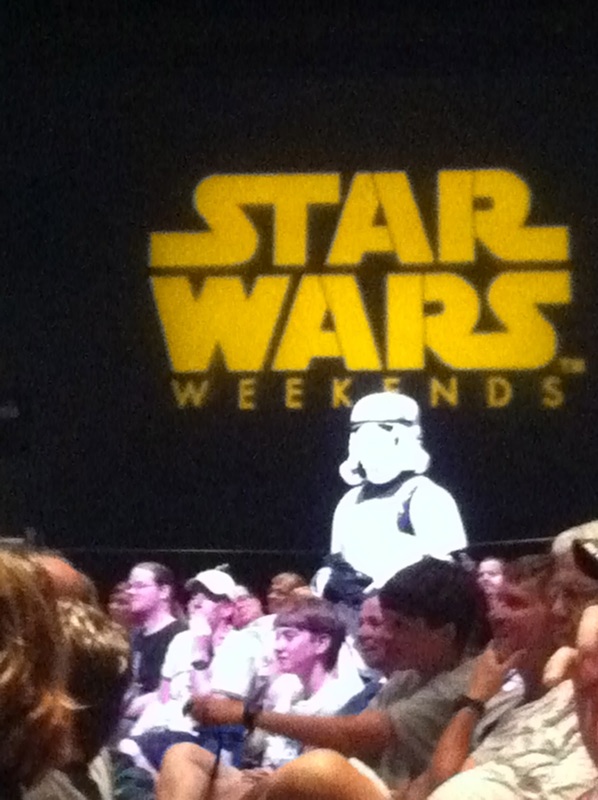 Next we attended the "Stars of the Saga" presentation that rotated out special guests from the Star Wars universe each weekend. I couldn't get a good picture of James Arnold Taylor hosting or special guests Silas Carson or Jake Lloyd talking. So these pictures of stormtroopers in the audience will have to do. There was actually a really funny fifteen minute pre-show with the stormtroopers who I will now think of as the Three Stooges of the Star Wars universe. 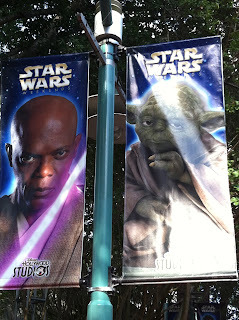 Jake and I very much enjoyed Yoda and Mace Windu's Lifetouch photos. I bet they had these taken annually at the Jedi Council for the yearbook. We were having such a good time with all the amazing photo ops. There were more than we could ever get done in one day. In fact, that's what we spent most of our day doing, waiting in lines to get photos with our favorite characters. Since we've sort of been citizens of Disney World for the last year, we've done all the rides. 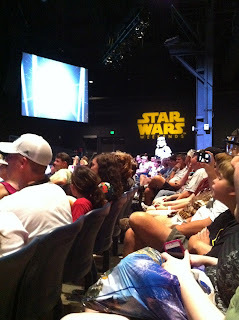 So we really wanted to focus on the Star Wars stuff. 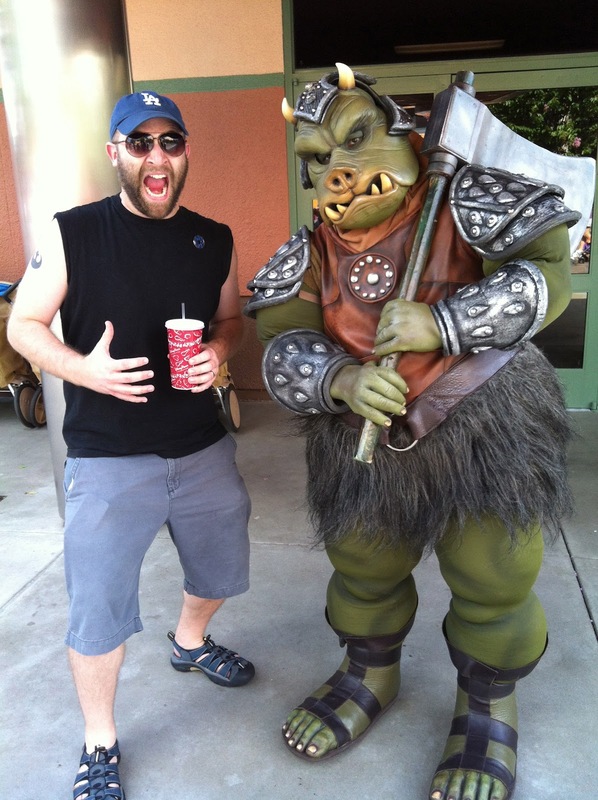 But some characters, like the Gamorrean guard above, roamed free and you didn't have to wait in line for them. 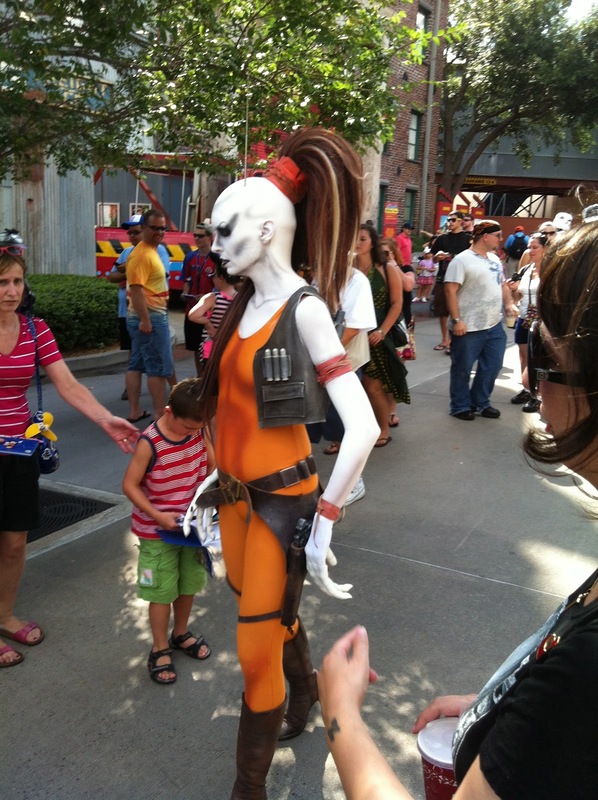 We just happened to be walking down Pixar Street when bounty hunter Aurra Sing popped out of a door and started scowling at the crowds around her. 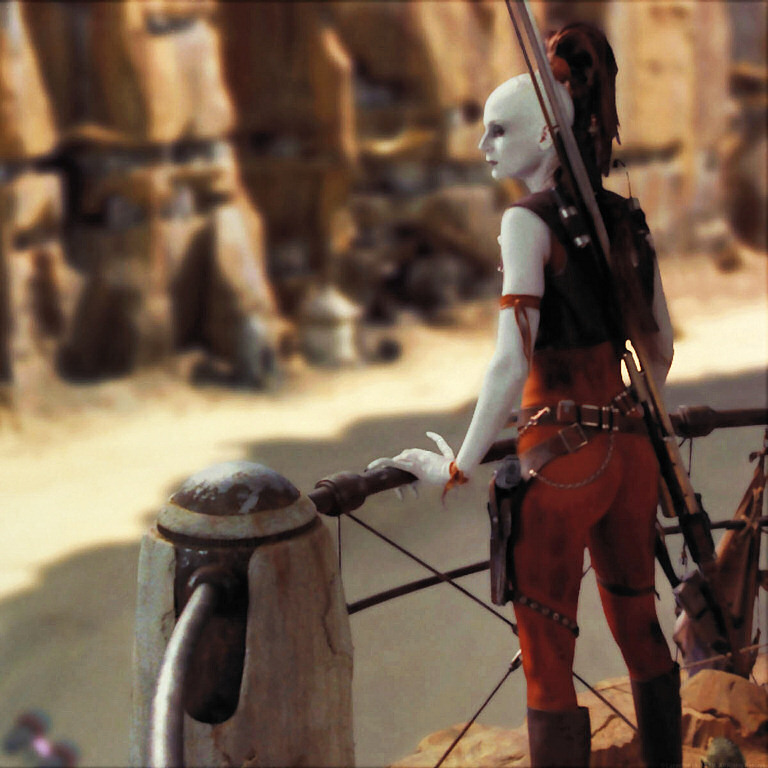 If you don't know who she is, here's a refresher of her first appearance during the pod race in Episode I.
I asked her if she would stop and take a photo with me. 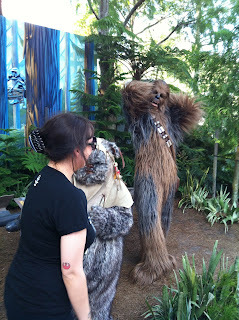 She replied with a growl and kept moving along. So I followed her. 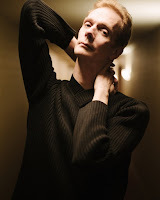 At first it was because I was feeling insistent about a photo. But then I got caught up in the logistics of the moment. I mean, seriously, would you ever be confident enough to rock an outfit like that? No really...I mean, the stretch pants alone...it's a miracle of modern costuming. We saved our favorite meet and greet for the end of the day. 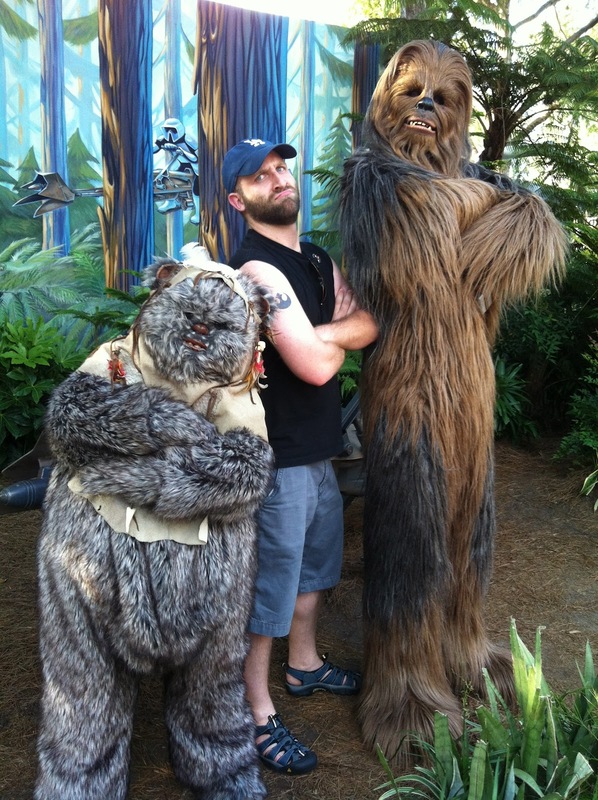 It was almost Chewie time. 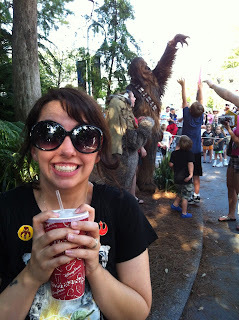 And yeah, that's Chewie in the background holding someone's keys out of their reach. Awesome, right? Then Chewie pulls you in for a HUGE embrace! And by the way, he was the right height. He made the right noises. 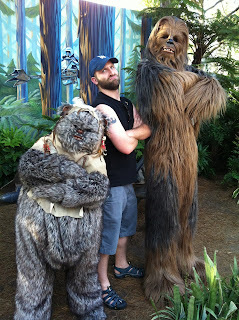 There was some serious Disney/Lucas magic at work, because that essentially really was the real Chewie, if you take my meaning. That wasn't a guy in a costume. That was a Wookie. 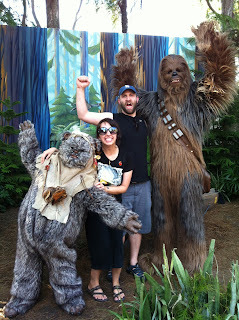 Jake jumped in for his photo, did this and Chewie and the Ewok didn't hesitate. And then of course, it was family photo time. And after that, we decided to just go home. 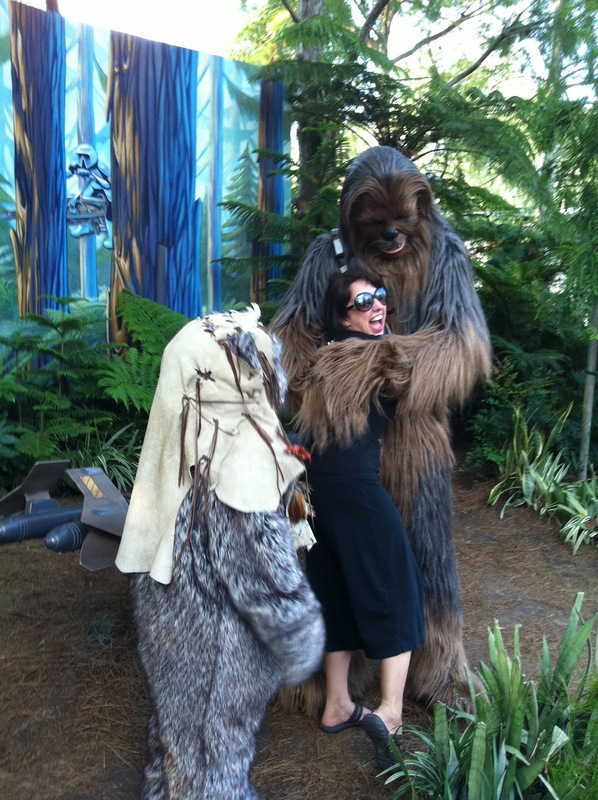 You can't beat getting to meet the real Chewie. So it was best to just call it a day. 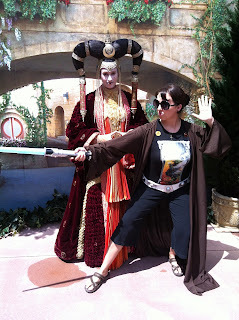 My only regret is that we didn't stay for the Hyperspace Hoopla. So I've still NEVER seen it. Not last year or this year. 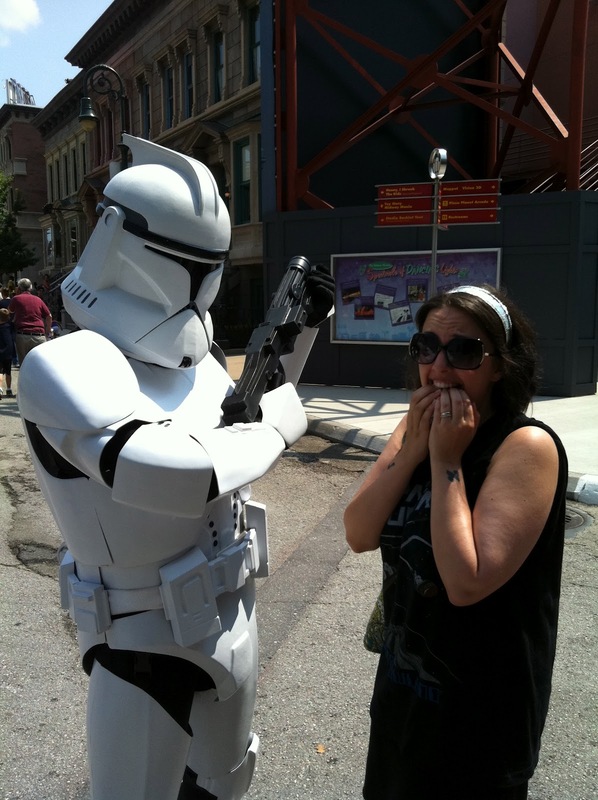 Luckily, Attractions Magazine got it on film this year! Here's the whole show!! !